How to download and install HOMER Legacy (v2.68)? This article explains how to download and install HOMER Legacy (v2.68). The download process delivers a zip file which contains a compressed installer. The installer must first be extracted (uncompressed) before it can be run. 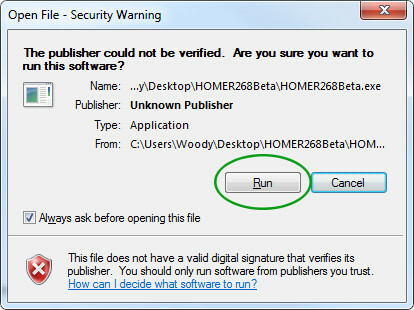 When run, the installer places the HOMER software on your computer in a working form. Note: For compatibility with the HOMER website, we strongly recommend using either the Firefox or Chrome browser. 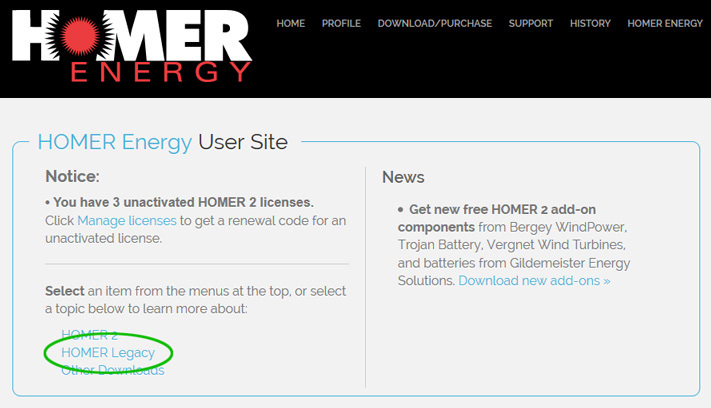 Step 1 - Sign in to your HOMER account at users.homerenergy.com, navigate to DOWNLOAD/PURCHASE > Retired Products > HOMER Legacy. Note: If you do not have a user account, please refer to Knowledgebase Article 10495 for instructions for creating a new user account. 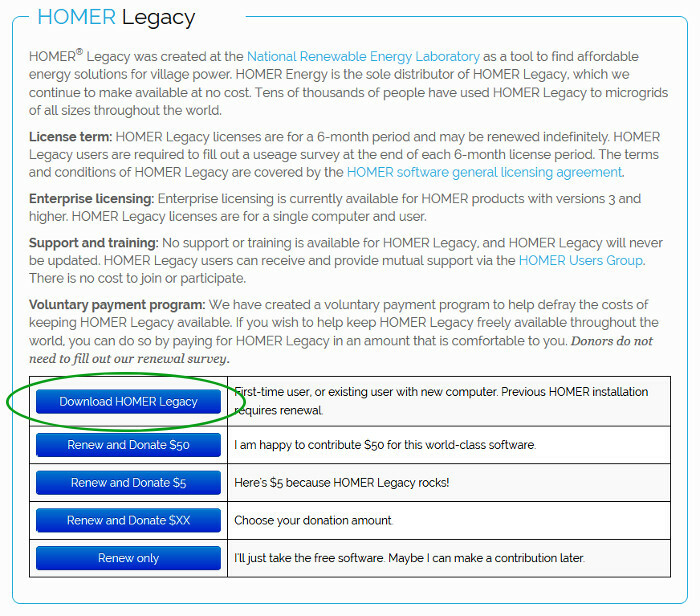 Step 2 - On the HOMER Legacy product page, click on the Download HOMER Legacy button, which takes you to the HOMER Legacy download page. 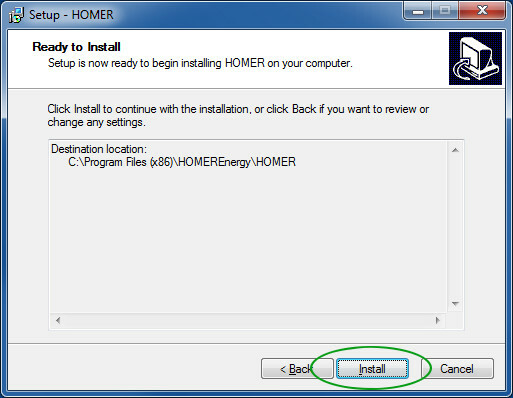 Step 3 - On the Download HOMER Legacy page, first click the checkbox to accept the End Users License Agreement. If you wish, you can view the agreement by clicking on the HOMER End Users License Agreement link. Then click the Download HOMER Legacy button. Step 4 - A window appears which gives the option to Open with or Save File . 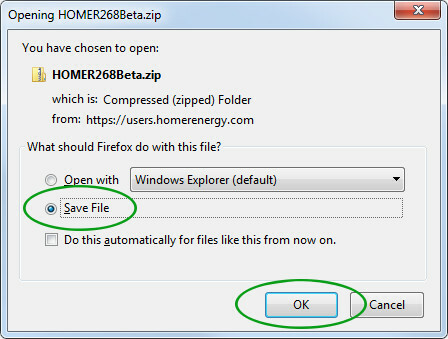 The name of the file will begin with "HOMER268" and end with ".zip". Select the Save File button, then click OK to begin the download. 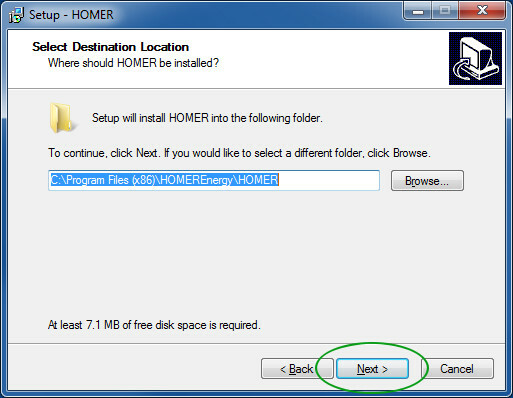 Step 5 - Windows will automatically place the HOMER Legacy zip file in the Downloads directory on your computer. For the rest of the installation process you can leave the zip file here, or move it to another location of your choice, such as the desktop. 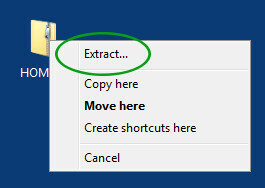 Option A - On most users' computers, double-clicking the zip file will display a window like the one below. The right panel in this window displays the zip file's contents, in this case, a single executable file called HOMER268Beta.exe. 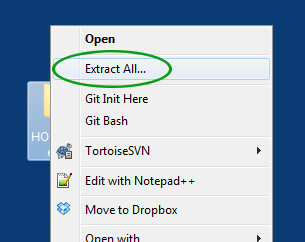 Click the Extract all files link, and proceed to Step 8. Step 10 - The installer now displays the following sequence of four windows. Click Next . Step 13 - The installation is complete. Click Finish . 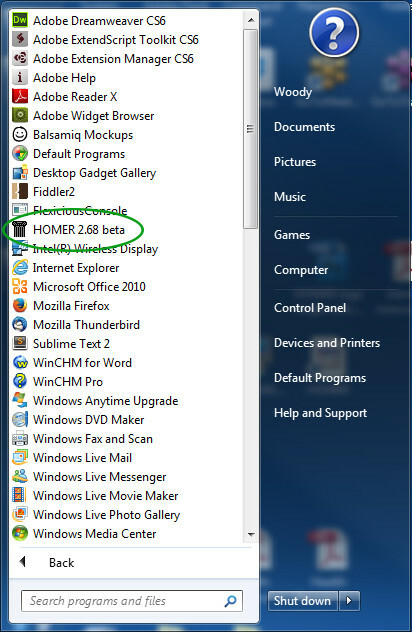 Step 14 - In the Start menu, click All Programs and you will now find HOMER 2.68 listed. 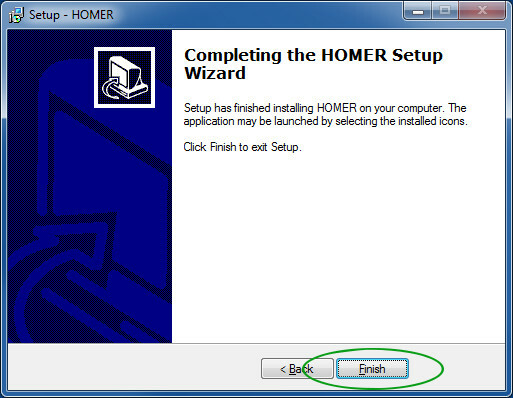 Double-click HOMER to start the program. Congratulations! You have successfully installed the HOMER Legacy software!